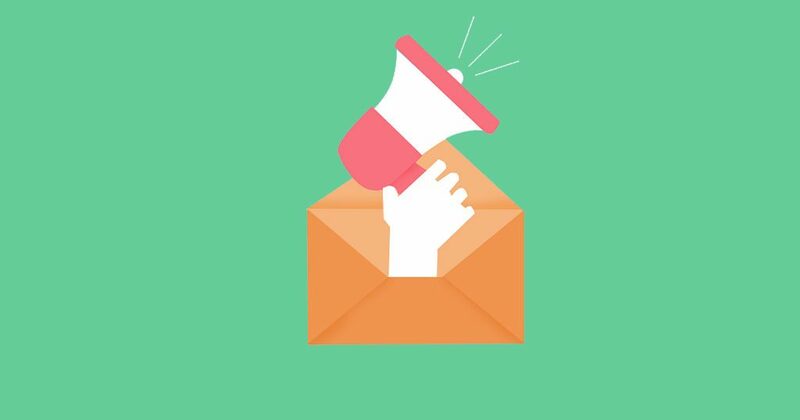 Despite all these new fangled ways for us to communicate (think WhatsApp, Facebook messenger etc) email continues to be one of most effective communications channels for businesses, largely down to it’s ability to send relevant, timely and targeted communications at scale. Whatever your approach, you should make sure you segment your email receipt lists so you can make sure you are sending relevant communications. For example you may want a specific list for existing customers where you talk about how to make the most of your product or service and another one for prospects (those you want to become your customers) where you focus on the benefits of using your product or service. Of course in order to send emails you need a recipient list! You want to make sure you give people a good reason to opt in to your emails. Give them some clear benefits like free advice or perhaps a discount. You should have prominent sign-up forms on your website. There are some great tools to help with this like mailchimp which will do most of the things you need from subscribe forms, to list management to creating and sending. Plus it’s free for small lists. This is crucial. Take the time to think about your recipient and specifically the challenges they face and problems they are trying to solve. Don’t write for the sake of writing. People are time poor so you should focus on clear, concise copy that directly addresses the recipients points if interest. And don’t be afraid to keep things short and snappy. It’s better to send a second email after a few days then cram loads of info into one email that people find to overwhelming to read. If there is a single thing you need to get right, it’s your subject line. 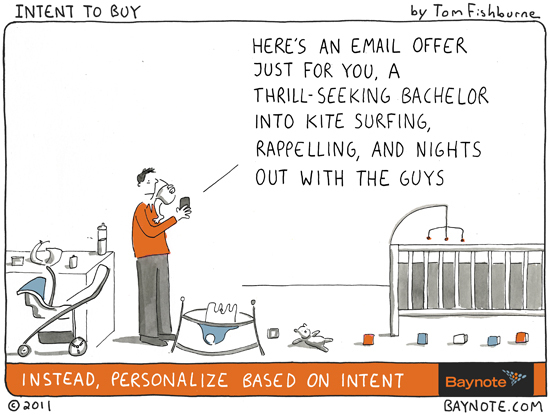 Too many people spend hours crafting great email copy and then relegate the subject line to a mere afterthought. The crucial point here is that if people don’t open your email, the copy you have worked so hard at won’t be read. And what is the single most important thing that gets people to open the email? You got it…it’s the subject line. I would go so far as to say the subject line should be the first thing you write. It needs to be relevant, engaging and on-point so you get the highest open rate possible. Here are some benchmark open rates from GetResponse to give you an idea of open rates you should aim for. 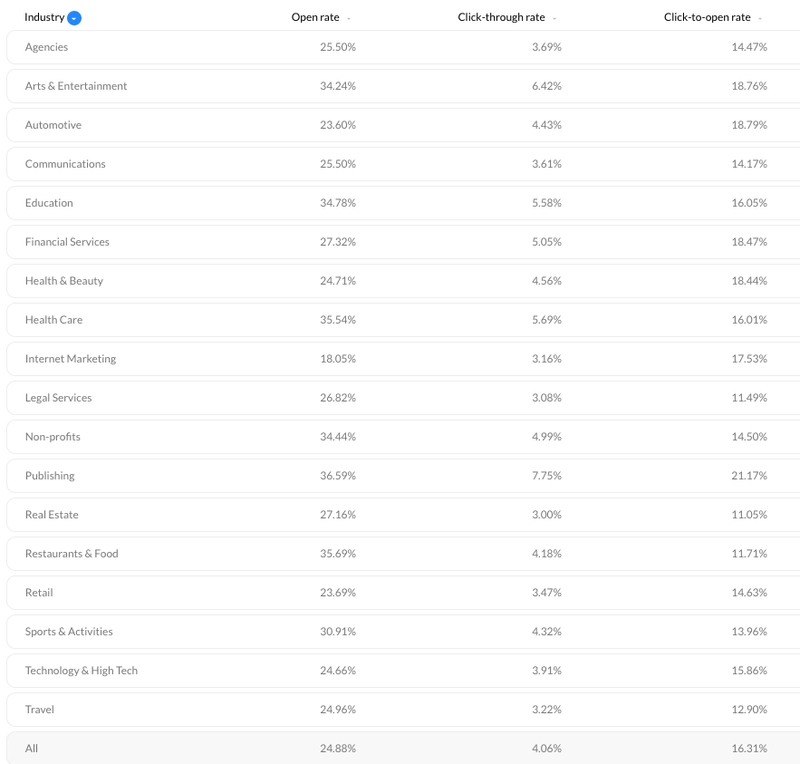 MailChimp will tell you the open rate for your emails. The most common approach to email is creating a monthly newsletter. Although time consuming, this is a great thing to do but the reality is that the best time to email people is when they have just signed up. They are ‘in the zone’ and at their most responsive point. That said, if someone has signed up for your newsletter, one of the best things you can do is send them a series of emails over the coming days that is designed to convince them that you are the right person or business to help them. Hopefully you have a clear value proposition. It’s your chance to convey that value proposition to them and make clear connections between the problem they are experiencing and your ability to help them fix it. There are plenty of free and cheap tools to help you do this stuff. In fact a lot of it you can do with MailChimp. Only email people that have expressly opted in to receive communications from you. You should be able to provide evidence of this if asked. Make sure you make it clear to people what they are opting in for and what communications they can expect to receive. Ensure you have an ‘opt out’ or ‘unsubscribe’ link on every email you send. You won’t always get things perfect the first time, and ‘done’ is often better than ‘perfect’. Don’t forget to revisit you emails and make adjustments to increase open rate and clickthrough rate. It’s likely that from talking to your potential new customers you will discover more about the things they care about. You should be building these things into your website and email campaigns. Do you know what the biggest source of new customers us for most businesses? Do not underestimate the power of word of mouth referrals. You don’t need a fancy referral scheme, but by simply asking your customers to spread the word and perhaps write a review or testimonial for you, you will be putting some extra gas into your growth engine. If this all seems a bit overwhelming, start by simply collecting email opt in. The sooner you do this, the sooner your list will start growing.